Gary S. Basso graduated from St. John's Law School in 1973 and from New York University's Graduate School of Law in 1976. He became licensed to practice in New York State in 1974 and Florida in 1976. He is also admitted to practice before the U.S. Supreme Court and the U.S. Southern and Eastern District Courts. Since his admission, he has been engaged in general practice, with emphasis on probate and estate administration, kinship/beneficiary hearings, guardianships, and wills and estates. He has tried a number of cases in New York, Bronx and Westchester Counties. He primarily focuses in the area of Trusts and Estate Law. This includes estate litigation; estate planning; and probate and administration of estates and trusts. 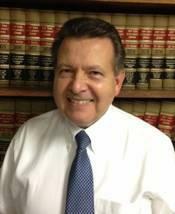 He provides estate planning and counseling advice and represents clients in litigated trust and estate matters; including will contests, kinship hearings, disputes over the validity of trusts, and accountings, before the Surrogate’s Courts and other courts throughout New York State. Gary S. Basso has been appointed by the Court on numerous occasions over the years as guardian-ad-litem in probate, accounting and compromise proceedings, as guardian of the person and property of incapacitated persons, as guardian ad litem of incapacitated persons, as guardian ad litem in conservatorship proceedings, and as a court evaluator and court examiner in guardianship proceedings.